Clockwise from upper left: KOKOKO!, Indigo Sparke, Yola Carter, Tamino, Cimafunk, Silvina Moreno. We've returned from our weeklong grind through the South by Southwest music festival happy, though a little dazed, with ringing ears, and a whole bunch of incredible discoveries. 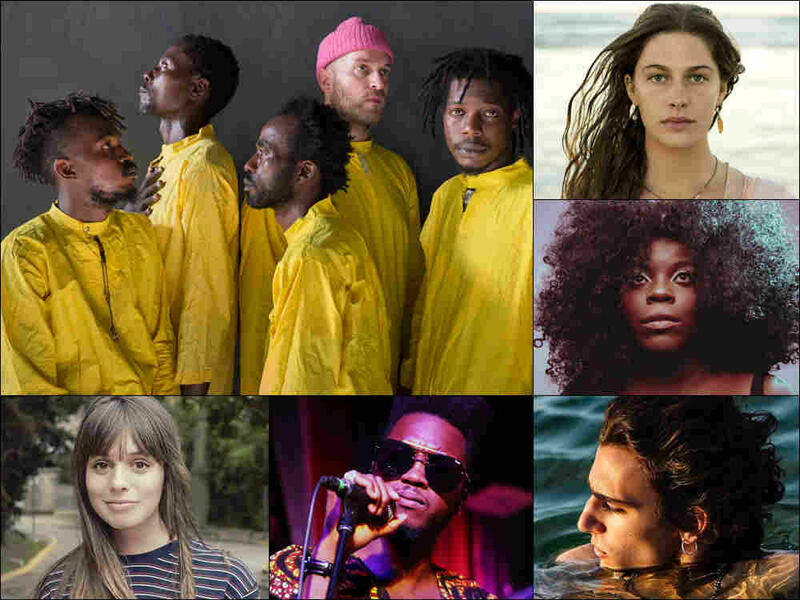 On this All Songs Considered we run through some of the most memorable music and performances, from the shredded noise rock of Rev Rev Rev and thundering soul of Yola Carter to the Afro-Cuban grooves of Cimafunk and the remarkable voice of Tamino. Hear All Songs Considered Saturday evenings at 6:00 pm on KRCB-FM Radio 91 / streaming @ norcalpublicmedia.org / Download the FREE KRCB App @ iTunes & Google Play!